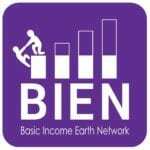 BIEN is an all-volunteer organization. We have no paid labour and hardly any budget. So we need your effort and ideas. And the Executive Committee is always open to suggestions for new activities. To get involved, please complete our volunteer interest form at this link. Our Volunteer Recruitment Manager will respond promptly to begin the screening and training process. If you have any questions, please contact Leah Hamilton at hamiltonl@appstate.edu.